A line reactor in series is effective only at low frequencies. 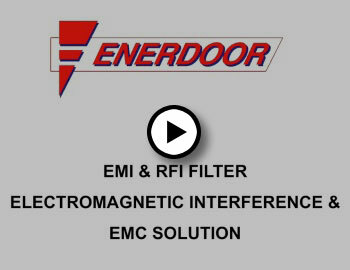 An Enerdoor EMI/RFI filter tested effective at reducing noise to below FCC Part 15 and European limit (from 150KHz-30Mhz). 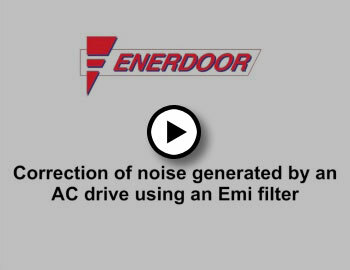 Enerdoor filters are ROHS compliant, CE approved, UL approved for the US and Canada, and hold the SCCR short-circuit current rating (UL 508).